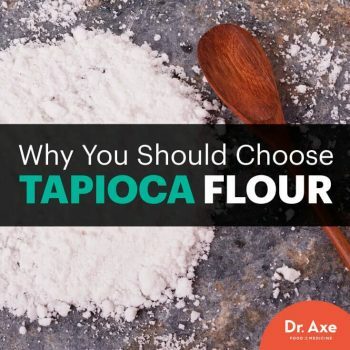 Tapioca flour is an alternative to traditional wheat flours, all-purpose flour or even nut-based flours like almond meal. It has a variety of uses in healthy baking, without adding unwanted gluten or other ingredients. Tapioca can usually be consumed by people with sensitive digestive systems or those who have a hard time eating other flours. It’s even safe for those following a moderate form of the autoimmune protocol diet, which limits many sources of carbohydrates (like some fruits and most grains and dairy).